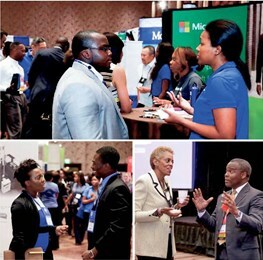 HOLLYWOOD, Fla.—Accounting, finance and business professionals will converge on Hollywood for this year’s National Association of Black Accountants (NABA) National Convention and Expo. The event brings together nearly 2,000 participants from across the country from multiple disciplines in the industry affording attendees the opportunity to learn best practices from their colleagues. The 2016 National Convention and Expo will showcase cutting edge and timely topics impacting accounting and finance professionals in the marketplace and workplace, as well as provide opportunities to connect with subject matter experts for the exchange of ideas. The latest trends from the top corporate industry leaders, agencies and key organizations such as the “Big 4,” AICPA, State Street, and others will also be addressed. The 2016 education tracks offer a wide array of sessions to reach professionals in every segment of the field – accounting, finance, audit, ethics, information technology, consulting, and tax. In addition to extensive learning opportunities with over 40 educational sessions to choose from, the event allows participants an opportunity to earn at least 18 hours of CPE credits. The annual event also includes a day of service on June 25. Convention attendees can also upload their resume to the convention database in advance for access by employers and could land an interview at the event. For people unable to attend the convention who are interested in applying for a job in the field, visit http://nabacareercenter.nabainc.org/jobseekers. COST: Expo only rates begin at $50. Visit http://s1.goeshow.com/naba/ national/2016/index.cfm for rates. CONTACT: For more information, email customerservice@nabainc.org.